A familiar tune is heard from a distance. Nah, we think to ourselves, it can’t be that silly Taiwan folk song that we were made to sing during school assembly (every Thursday was Chinese song day). But alas, it is, in fact, the very thing we fan off with disregard – the earworm of the Chinese Mountain song. 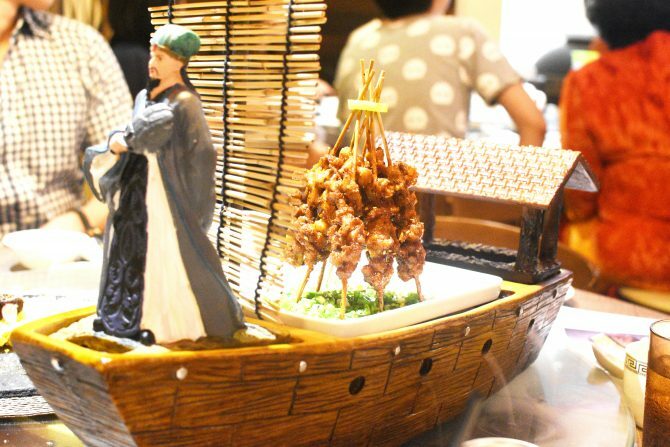 The musical folklore rings more boisterously as a literal miniature straw boat is placed on the Lazy Susan. The mist from moist dry ice spews from within the boat’s hull and a Chinese scholar stands at the bow. Now, that’s what you’d call a melodramatic plating of the Spicy Grilled Frog Skewers ($29.80), featuring macho Malaysian bullfrogs brushed in a piquant marinade before flash-fried over high heat to yield tender meat, boasting a crispy outer layer. A mildly-spicy Sichuan sauce is further glazed over the frog meat, making each skewer explosive in its taste profile. 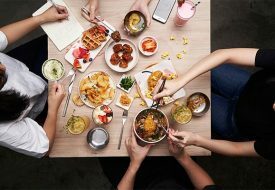 The dramatic kick-off of our culinary affair at Chengdu Restaurant thankfully ends there and then, allowing us to give our undivided attention to the rest of the Sichuan-style dishes. The restaurant offers up a space that one can describe as comfortable. There’s nothing too fancy here, as compared to the colour-coordinating Chinese stalwarts of Putien and Beauty in the Pot. The only design element that is seemingly given a thought is the cluster of inverted red parasols that hang off the ceiling. Very oriental. Very nice. Noiselessly, the dishes of Pork Belly in garlic ($12.80) and Beef with pickles in sour soup ($25.80) came our way, of which we slurp the latter with utter glee. Consisting of 12 different vegetables, the beef soup offers the sweet, sour and spicy goodness for a lip-smacking indulgence. Even though a traditional Sichuan delight, the pork belly dish, on the other hand, doesn’t thrill with its concept of dipping each fatty strip in red chilli oil and garlic before consumption. We think your money is better off spent on something else. 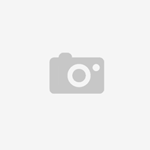 Something like the Chengdu 12 flavours Chicken (Beggar Chicken) ($36.80) and the Fish with Green Pepper Soup ($26.80/$35.80). 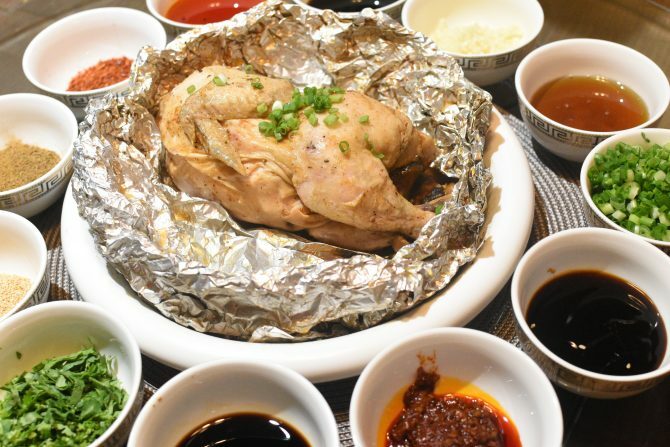 Marinated with Sichuan spices and stuffed with mushrooms, the chicken is covered in mud and baked over a charcoal fire. The result is fall-off-the-bone tender meat, enriched with the aforementioned spices. So good to eat alone or with rice, the chicken also paired with 12 kinds of sauces that suggest its name. A one-day advance order is required for this dish. But if you must have your fix of mala, the fish with green pepper soup will sort you out. 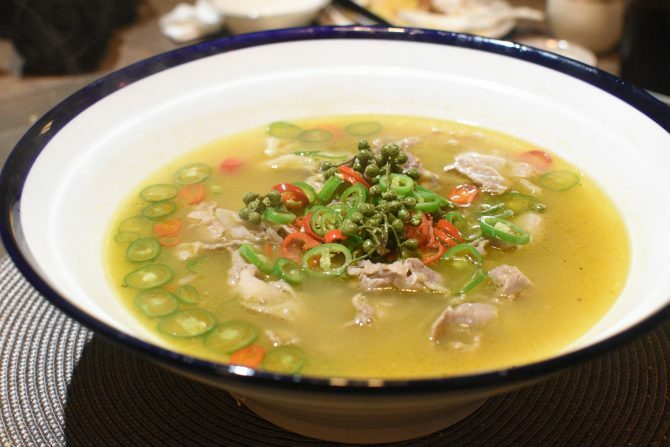 Available in different spice levels, the seafood-based broth is packing the likes of green pepper, millet, garlic, fermented black bean, followed by a Sichuan pepper oil. Fish used is dependent on the catch of the day, but trust when we say that its freshness is guaranteed. 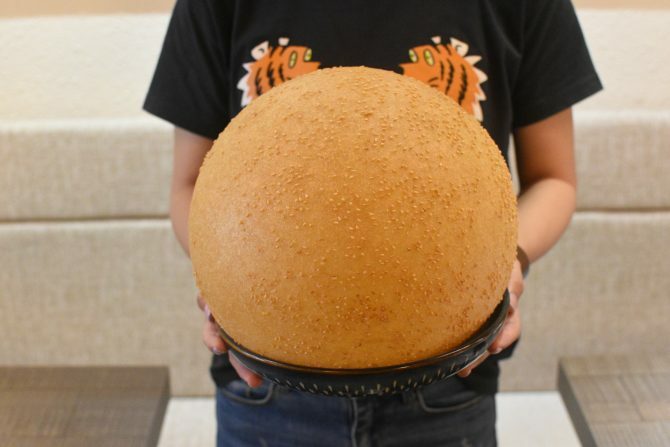 To rival its singing boat counterpart, Chengdu Restaurant concludes on a memorable with its Giant Sesame Ball ($15), possibly shaped bigger than a child’s head. The chef has to eyeball the frying process of the treat to achieve its size, taking a solid 15 minute for each pastry globe. The result is a seedy, sweet and crispy exterior that goes delightfully with the chewy insides due to glutinous rice flour in the making. We do love this big ball and we cannot lie!